Have a kid on your shopping list who is a STEM (Science/Technology/Engineering/Mathematics) fanatic? 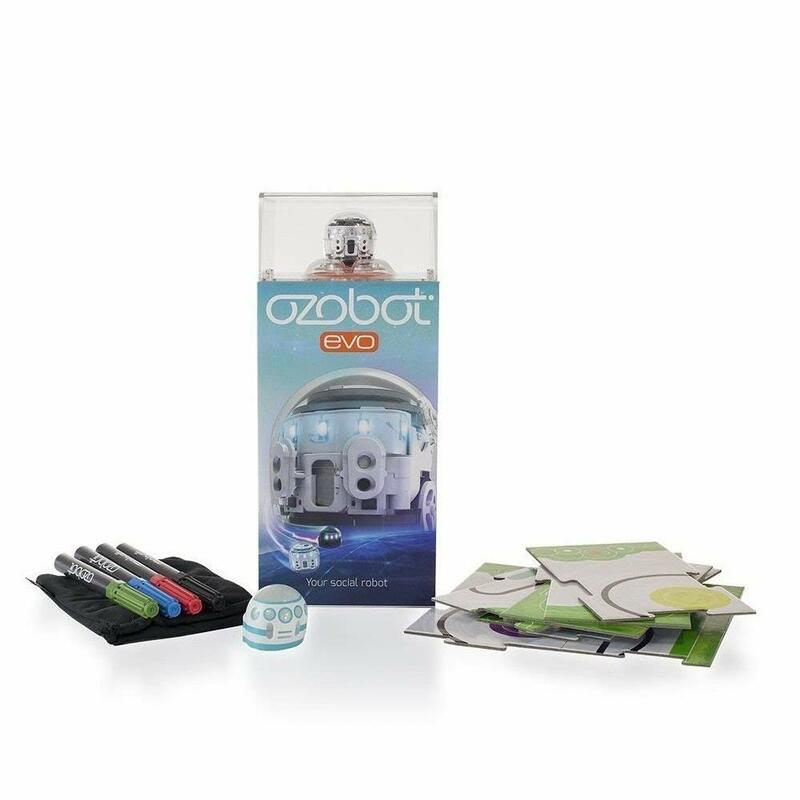 I have the greatest little robot to share with you; the Ozobot Evo. He is perfect for ages 9 and up! Evo can be coded two different ways – either by using the online capabilities of OzoBlockly or go totally screen free with the color code markers. This is such a big topic in my home as both kids are learning about coding in school and cannot wait to work with it at home as well. Evo will gladly show off the tricks it was “taught” (coded) and your child will be so proud! Oh yeah; and during all this fun they just learned something new and broadened their little minds! Side note: the app was really easy to install but I loved using the markers with them as well! The games on the app are teaching them to program and code all while being super fun! My son is literally shaping the personality of the bot and torturing the dog at the same time as the bot has been programmed to chase her! If you think your child is old enough they can safely connect with friends on the app as well. Evo will cost around $100.00 and is available on Amazon, Walmart and Barnes & Noble. Evo is beginner to master coding while his sibling Bit is great for newbies 6 and up. Please don’t forget to assist your children by sharing their coding skills with #ozobot. Definitely a great gift this holiday season. And might I add this cute little bot fits in my pocket! I love that we spent time together learning, building and acting as a team! Great holiday gift!